Halloween with a difference with Robbie Williams in Wellington! Halloween decorations on a spring evening in New Zealand! 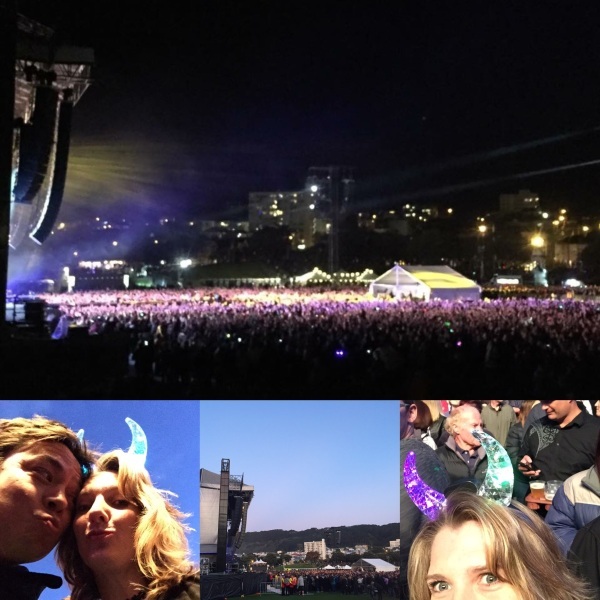 My hubby and I left the children (two of them, the third was staying over night at a friend’s house) with a trusted friend, and walked into Wellington city to see Robbie Williams performing at The Basin Reserve. Walking into Wellington city to watch Robbie Williams on a beautiful Saturday evening. 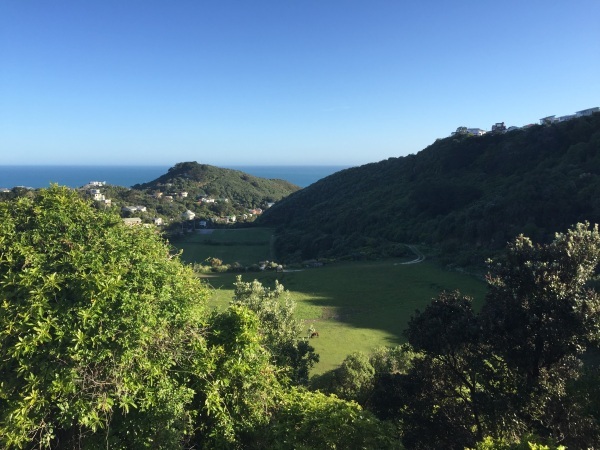 It was a beautiful evening (not something that can be guaranteed in Welly!) and we were amped to see our first outdoor concert together in over twelve years! Hubby with some light refreshments. 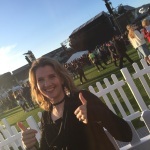 At the Basin Reserve waiting to ‘be entertained’! 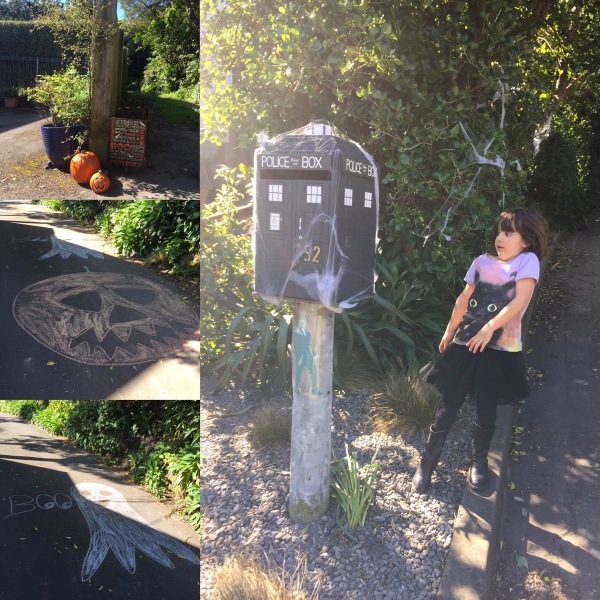 Whilst our two youngest children had fun trick and treating in our friendly neighbourhood (not that they needed too many ‘treats’, having had a brilliant time at the local school fair – filling up on candy floss and lollies! ), our oldest daughter had a blast dressing up and enjoying her own Halloween fun with her friends (she was thrilled to have won a ‘brain cake’ at the local school fair to take along to her friend’s house!). 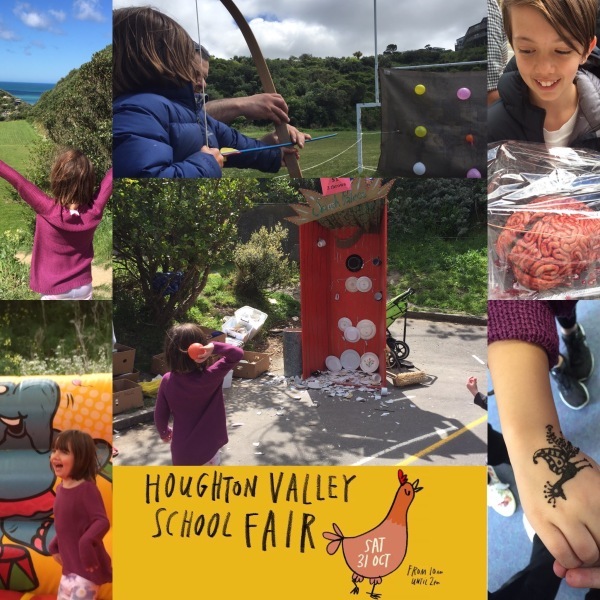 Enjoying the local school fair. There’s nothing like the peace of mind in knowing your children are happy when going out on a date night. Dan and I felt so relaxed and loved the walk to the concert (we could actually have an uninterrupted conversation and hold each others hands for a change!). 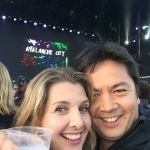 We arrived in time to see New Zealand band, ‘Avalanche City‘ play and then on came Robbie Williams…! The crowd was filled with people of all ages, though many were of similar age to Robbie – having ‘grown up’ with his music. 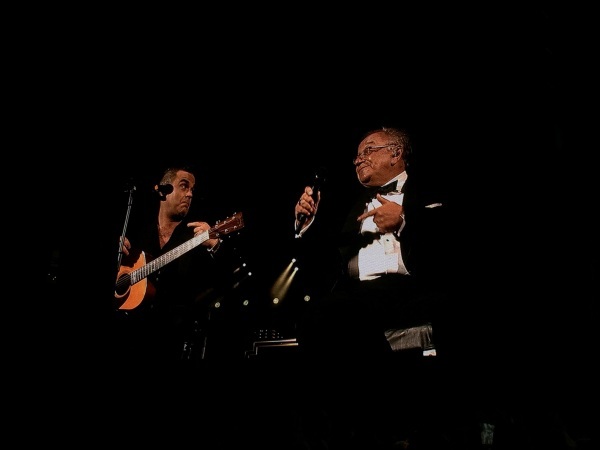 There was a touching moment when his Dad came on stage to sing a song with him. He really is an all round entertainer, that still has the moves. Hubby and I definitely got our ‘groove’ on too! 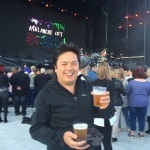 He enrolled the help of one of his warm up acts – Lawson – to sing a few of the ‘golden oldies’ from his ‘Take That’ days and the 12,000 crowd sang along like a mass choir, filling the hills of Wellington with music. This video is from his performance in Sydney, singing with Lawson – as he did in Wellington. Wonderful. It was a wonderful venue for the concert (and the local residents enjoyed the free concert – switching their lights on and off in appreciation when Robbie asked them for their acknowledgement). The last time we saw Robbie and his band was 12 years ago, at the Wellington stadium, known to locals as ‘The Cake Tin’. The sound just didn’t seem to carry, in the Wellington wind, across the large, open-air, venue and for most of the concert I remember feeling annoyed at the sound of a group of girls singing next to me! This time around the weather gods (and in particular the wind!) played ball and the smaller venue of the basin seemed to work better to carry the sound and create an amazing atmosphere. After an amazing evening we walked back toward home, stopping for a quick night cap, before hopping on the bus (our dancing feet felt a little too weary to walk all the way home). Thanks Robbie for visiting Welly! Come again soon! Thanks to our friend Frances for looking after our two youngest and thanks to the parents, of our oldest daughter’s friend, for having her to stay and enjoy such a great night of Halloween frights and fun! 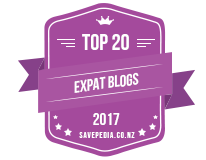 And after an amazing night, we woke up on Sunday morning to the All Blacks Rugby World Cup WIN! Linking up with the wonderful Jaime at ‘The Oliver’s Madhouse’ with her ‘Magic Moments’ link-up. 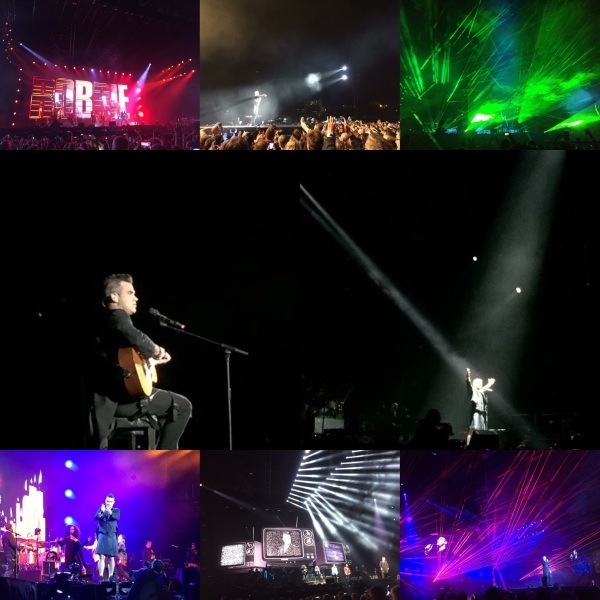 Dan, Life in action - Videos, Sarah BasinReserve, concert, Halloween, magic moments, RobbieWilliams, Wellington. permalink.